When going to Italy, a visit to local, famous restaurants or trattorie is one of the must to include in your journey. Eating national dishes in a typical environment, sitting around a table and sipping a glass of traditional wine, either white or red, may be the first image coming to your mind, but it’s not necessarily the only option. All those who enjoy living the city, walking around, and don’t really care about spending much time sitting down to have a meal, will be glad to know that street food has now become a trend in a lot of Italian towns. Many Italians remember with fondness early morning stops at food stalls after a night out clubbing, each peddler selling panini outside strategic places: hot sandwiches and fresh pizza slices consumed standing up or in the car, watching the sunrise with friends, and looking forward to a Sunday spent in bed. Today, street food seems to be living a second youth: it has become, all of a sudden, en vogue. It is a time saver during the week, when work or school may take up much of the day; it often represents an alternative to conventional meals and can be a pleasant change from routine.It is also cheap, a great characteristic in these days of crisis. From North to South, each region, each city even, has its local street food delicacies, but in recent years Italians have become more exotic and started going for foreign options, too. What you can find mainly depends on local tastes and on what is most in demand in the area. Variety is queen, but there are dishes you’d associate typically to one region or another. 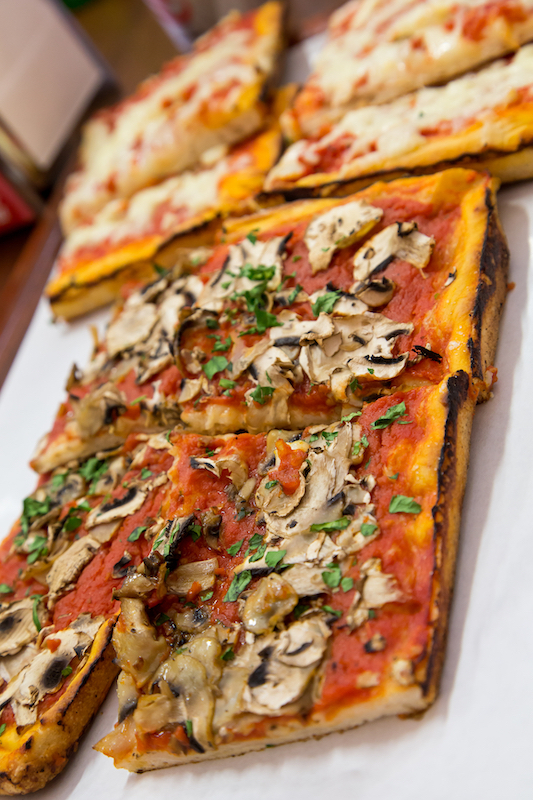 Take a look at this list of delicious, mouth watering street foods, Italian style! Northern Italy: polenta is a type of street food served mainly during sagre in most of the north. It is, in short, cooked cornmeal, which may remind grits in consistency and texture. It is usually eaten with cheeses, or aromatic stews, such as rabbit or wild boar. 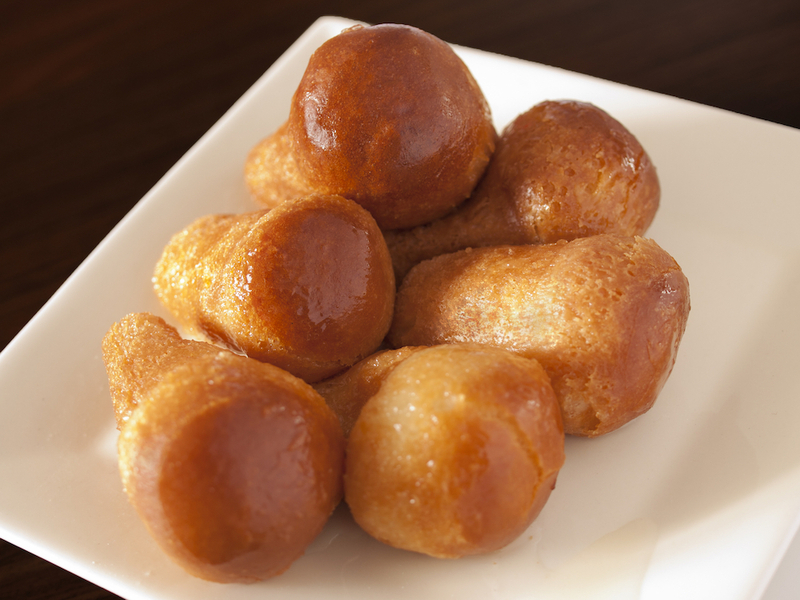 Once cold, it can be sliced, fried and rolled in sugar: it makes a delicious treat to eat on the go. 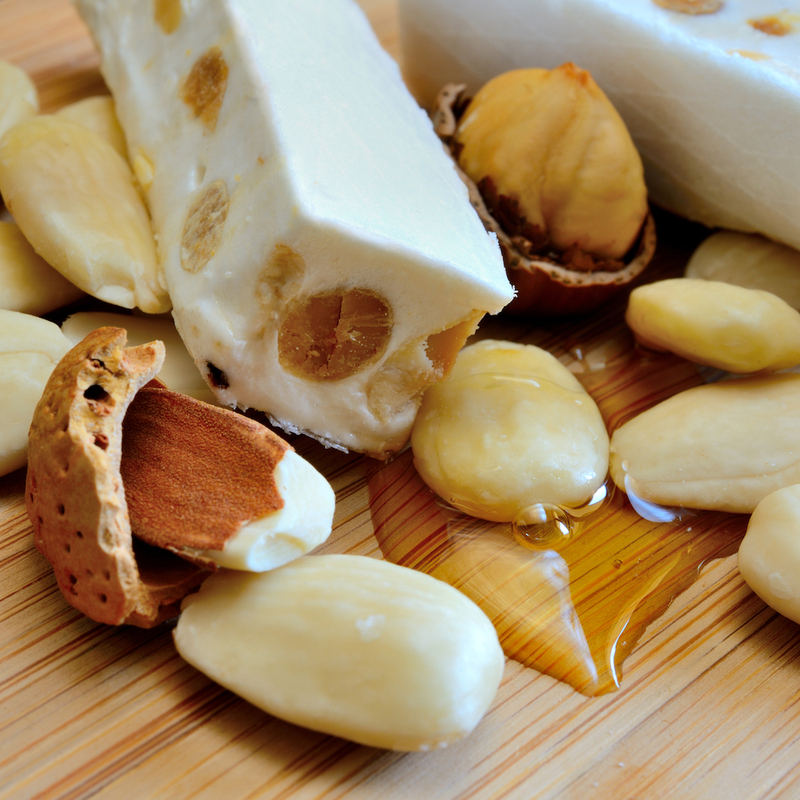 While in Piemonte, try goffre, torrone and paste di meliga, made with flour and cornmeal. Liguria is famous for the farinata di ceci or cecina, a thin, savoury cake made with chickpeas flour, olive oil and rosemary, cooked in the oven, and eaten in slices on the go, just like pizza. Trentino Alto Adige loves its frankfurters and sauerkraut. 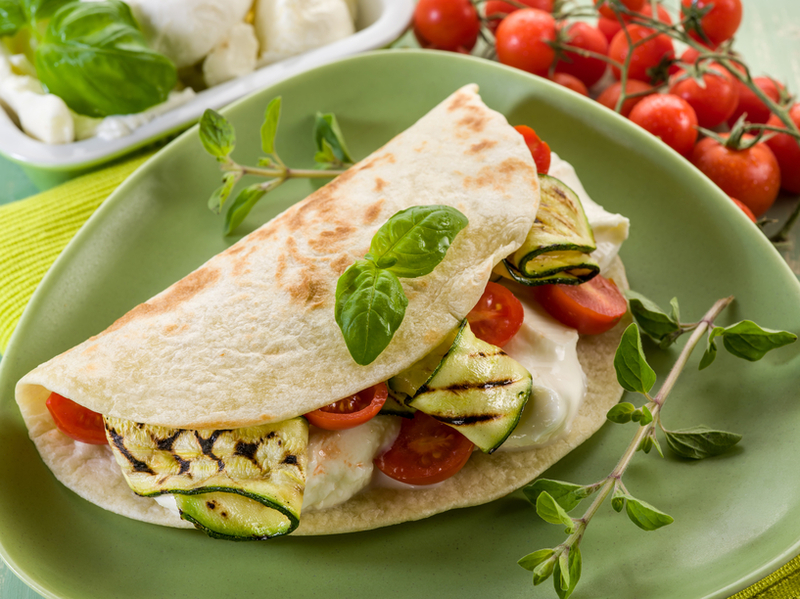 Central Italy: The piadina of Emilia Romagna, the lampredotto, castagnaccio and cecina of Tuscany or the olive all’ascolana of Umbria and Marche are the best known dishes of those areas. Lazio is well-known for its grattachecca, supplì and for ubiquitous vans selling porchetta di Ariccia (roasted pork) sandwiches. Southern Italy: the famous pizza a portafoglio, folded pizza so that people can eat it easily while walking, o’ pere e o’ musso (the foot and muzzle in Neapolitan dialect), cob, taralli, babà, sfogliatelle, zeppole (traditional cakes of the area) rule the streets of Campania, while panino con marzeddu,veal’s entrails and hot sauce, is the main street dish in Calabria. Sicily is renowned for the arancini, the pani ca’ meusa, a sandwich with spleen, cannoli and gelato con la brioche, ice-cream with croissant. Delicious Street Food in Italy: the babà (with alchol), you can have them just like that or with cream. 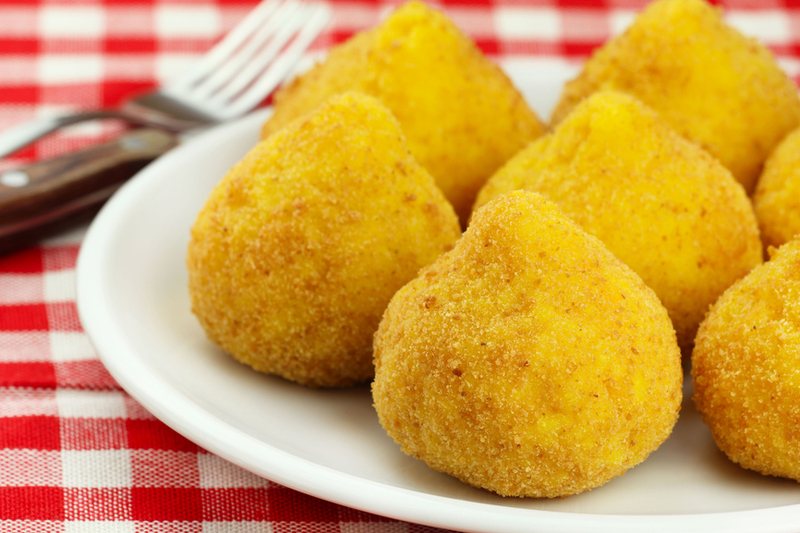 Arancini di riso o arancine (Sicilia): fried rice balls filled with minced meat, peas and cheese. However there are several fillings going beyond the conventional recipe. Pizzette, focacce and calzoni: apart from the typical margherita the little square pizza is often filled with ham, vegetables or other ingredients. Frappè, frullati e centrifugati: soft drinks made with fresh fruit or vegetables to which yoghurt, ice-cream or milk are added. 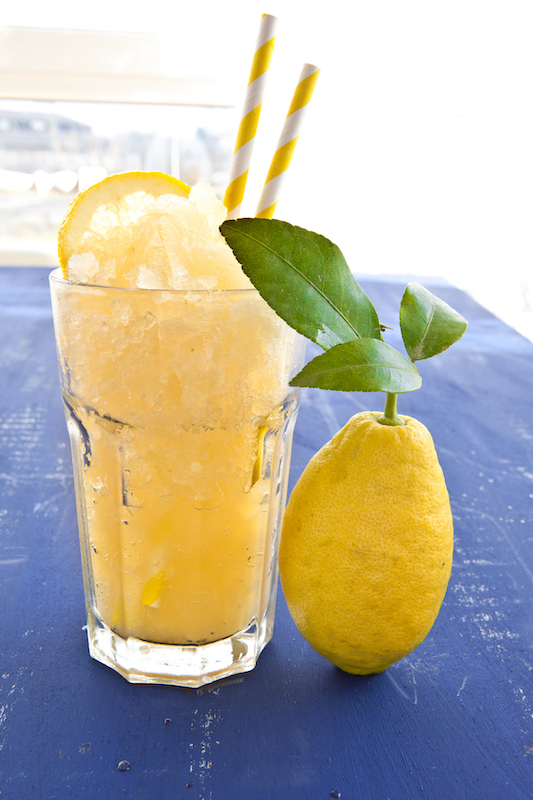 Granita e grattachecca (Sicilia, Lazio and rest of Italy): a soft drink made with water, sugar, fruit and ice. lemon, orange, mint and coke. Panino with lampredotto (Toscana): lampredotto is a part of the pig or ox’s stomach which is boiled and seasoned with salt, pepper and hot sauce. 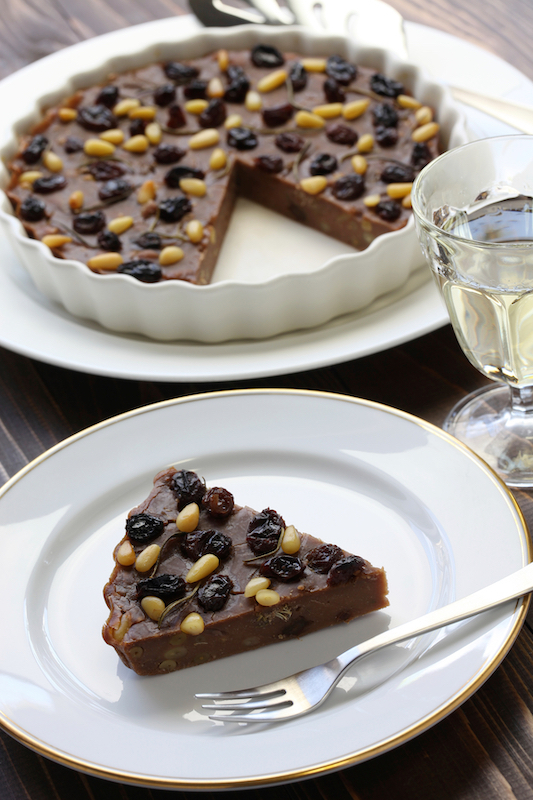 Castagnaccio (Toscana, Piemonte, Liguria, Emilia): it is a cake made with chestnuts, pinenuts, rosemary, raisins. 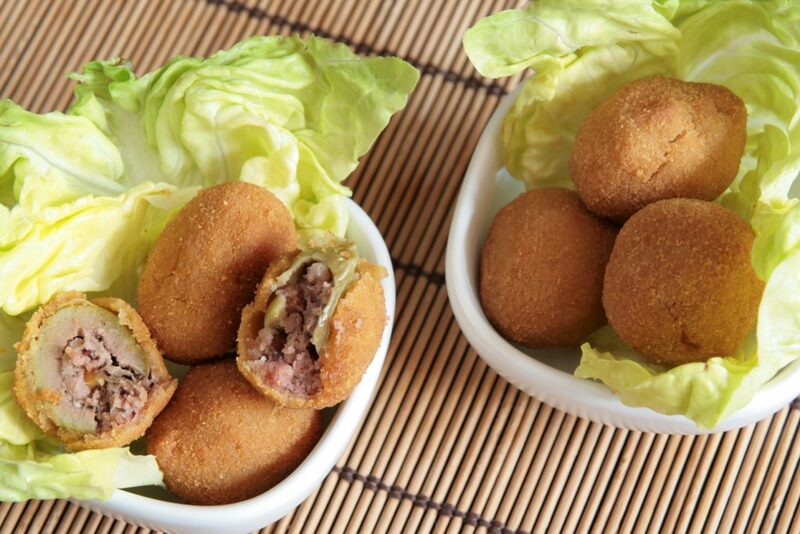 Olive all’Ascolana (Marche): big pitted fried olives, filled with minced meat. Supplì (Lazio and other parts of Italy): quite similar to arancini, they are filled with rice and mozzarella cheese but they have an oval shape. Piadine: they are a typical type of bread made in Emilia Romagna. It is flat and filled with cold cuts, cheese or any other ingredient chosen. 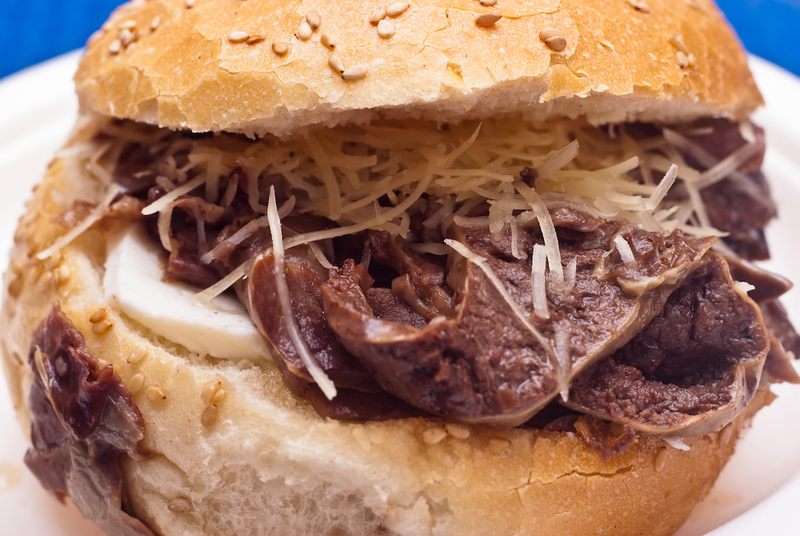 Panino con la meusa o milza (Sicilia): sandwich covered with sesame seeds and filled with boiled spleen seasoned with cheese and lemon juice. All of these delicious, traditional sandwiches and snacks are usually prepared fresh in what is known as rosticcerie, stores in between delis and bakeries, or at street stands. Street food is often sold during sagre, (local fairs), when people choose what they want and eat food sitting on benches or on the go. Sagre are the best place to get fantastic street food in Italy: you’ll find it all, fresh and cheap, traditional and exotic: yes, because as we said above, Italians begin to enjoy foreign delicious street food, too: kebabs, hot-dogs, waffles and crêpes being the favorite. From the most traditional to the most innovative delicacies, street food is becoming a more and more frequent habit among young people who want to spend less money when eating out, but it is also a good option for all the tourists who do want to eat fast and at cheaper prices at lunch, and then have a quieter dinner in a traditional restaurant or pizzeria. And in this climate of restriction and crisis, street food has now turned out to be a most appreciated and convenient way to save money, while still enjoying a nice meal a bit for everybody.